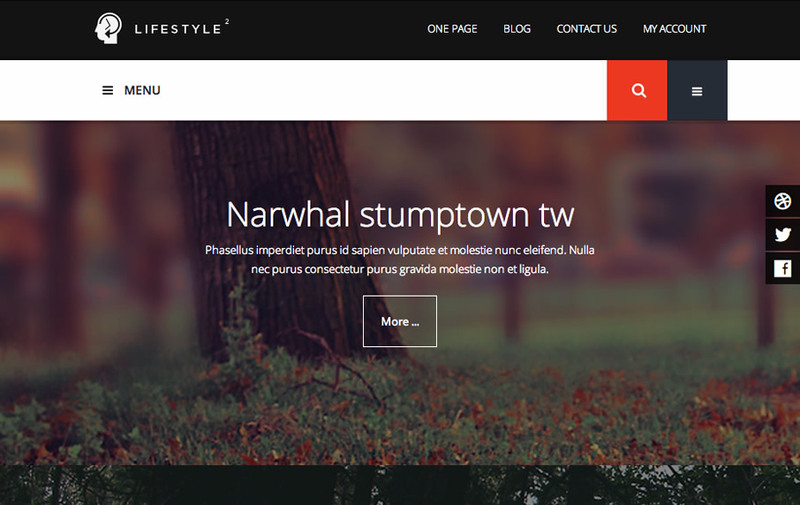 Lifestyle2 is a 2014 update for one of our more popular responsive Joomla templates - Lifestyle. Lifestyle2 features a number of design and functionality improvements including a leaner flatter design, full bootstrap and T3 support which means you get the added bonus of almost universal Joomla extension support plus a powerful framework with modern responsive features built into the template. The Lifestyle2 demo features the latest version of our Zentools module now has the ability to smoothly slide and fade your images, title text and more in when the content appears in the content. Zentools has also been updated to feature a new layout called stacked. Stacked balances full width fixed background images beneath your content items in order to create a faux parallax effect. Easily create a beeautiful scrolling one page site layout using the Lifestyle2 one page option. For users of the original Lifestyle theme we have made sure that you can replicate the original layout used by that theme in your new Joomla 3 installation. You can see it on the Home - classic menu item on the demo. The Theme magic control panel provides extensive control for the theme appearance. It's a dynamic appearance tool so you can preview changes to colour, font sizes and template width in real time. Lifestyle makes full use of the T3 off canvas menu. You can display your main menu or any combination of modules in the off canvas area to create a beautiful streamlined site. Lifestyle uses the T3BS3 framework which uses Bootstrap 3 as it's core framework. This means that you can take advantage of the cutting edge web technology even though the Joomla core is yet to catch up.